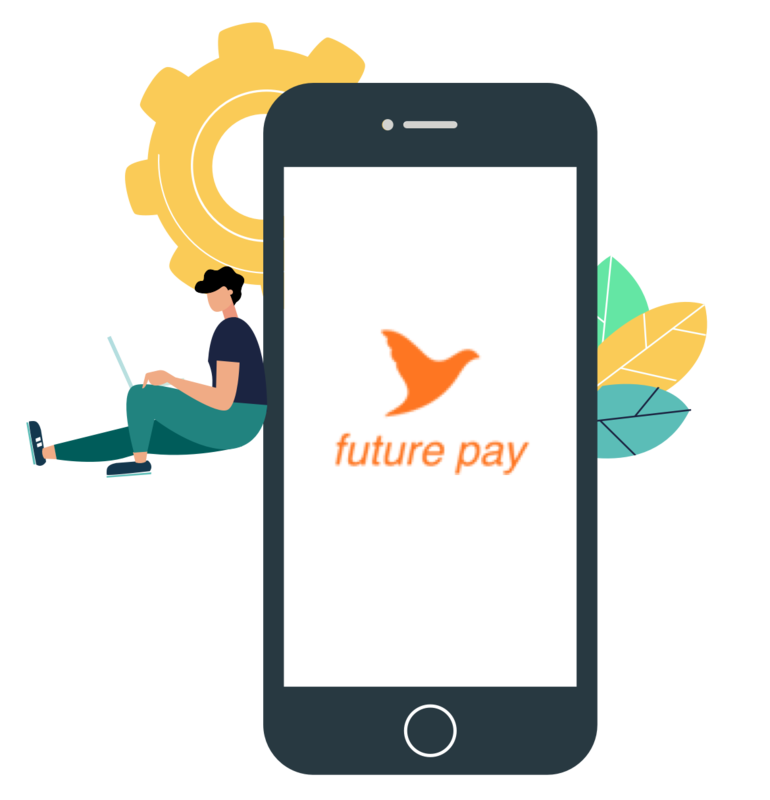 Future Pay is a digital app-based wallet to be used across Future Group stores, focused on providing customers with an effortless shopping experience. The app can be used at over 1000+ Future group stores including Big Bazaar, fbb, Ezone, HyperCity, Central, Easyday, Heritage, Nilgiris & Brand Factory stores. With 5 Million+ registered users, Future Pay not only facilitates cashless transactions but also card-less payments by directly linking all their loyalty accounts within the app. Future Pay’s users log in to the app for a cashless, hassle-free experience while shopping. Discounts and coupons are great motivating factors to acquire new users, but getting users to keep coming back requires a continuous flow of new campaigns and offers. And therein lies the problem they were trying to solve: Adding features that are inherently sticky in nature without requiring cash incentivization. Future Pay used Haptik’s platform to enable two important new product features on their Android and iOS apps. They deployed the Quiz Bot and a custom Shopping List Bot - a massive development and maintenance effort. 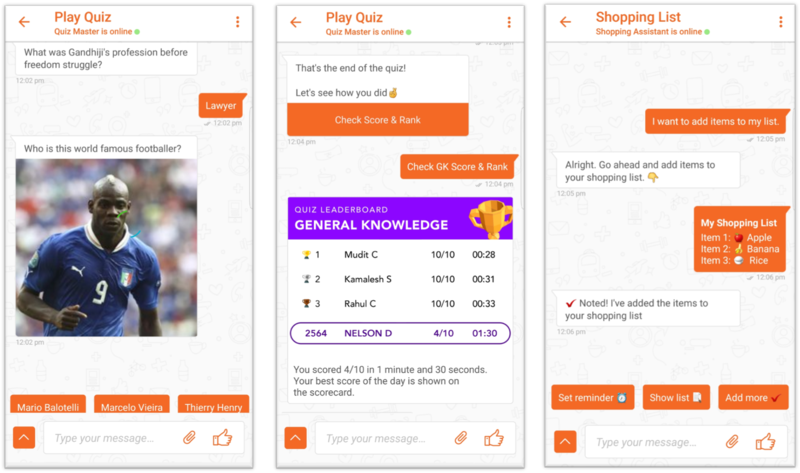 The Play and Win Quiz chatbot consists of a set of daily GK quizzes in which users can get bumper prizes if they top the Leaderboard, which potentially can turn them into brand evangelists. The short, chat-based nature of the quiz makes the gameplay compelling, encourages repeat usage. The Shopping List bot is an intuitive way to maintain a shopping list and schedule reminders to go shopping. This is in sync with the overall premise of the app, where online activity leads to offline purchase the retail stores. Over 300K unique users have engaged with the two bots so far and the numbers are growing every week. The number of users entering the bot has increased 2X within a span of 60 days. Based on user feedback received on the bot, Future Pay added 2 new Quiz categories, Bollywood and Cricket to boost engagement further. Future Pay is also planning use cases based on the response received. Integrating Haptik's Bot within the Future Pay App has been an excellent partnership for us. Users love engaging with the Daily Quiz and Shopping List chatbot and our overall weekly retention rate has increased by more than 20%. We are excited about implementing more use cases in the coming months.